If you are looking for a reliable, powerful two- way radio that you can use without license, CB radio is the best choice for you. It is one of the oldest devices that used in trucks, cars and other automobiles by people from various profession for communication in emergencies. The reason it is still popular among people is the filtering option of static. But it is tough to find out the right CB radio for your vehicle! You need to consider so many things while buying. Like- the price, size, display, antenna, scanning, control and many more. All the terms and features may make you confuse as they are little bit technical terms. I’ll try to explain everything in simple words so that you’ll be able to find out your one easily. Midland 75-822 Radio, Mobile Adapter, AC Wall Adapter, Alkaline Battery Compartment, Rechargeable Battery Compartment, Antenna and so on. 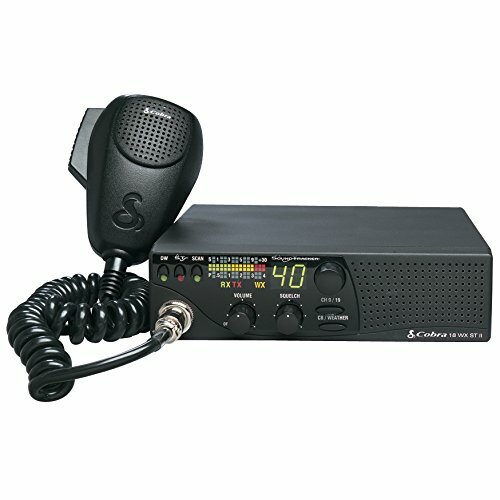 For a lightweight and space-saving CB radio, most of the users recommend this model from Midland. This one is a bit pricey compared to other manufacturers, but the ease of placing it in your car worths it. Besides, when most of the affordable radios come with a mouthpiece with a coiled cable, Midland launched this one especially for people who prefer hands free radio operating. Like any other radios, it can tune to all 40 channels including emergency and weather channels. You can save five channels of your choice for more convenience. The best thing is, the packaging includes adapters to run it with batteries as well as car power. I prefer this device for truck owners; because you will never want to take risks on your vehicles in terms of unfavorable weather or bad road condition or unexpected incidents. A reliable set of CB radio is your best friend to prevent and overcome such undesirable occurrences. CB Radio, Microphone, Mounting Bracket, Mounting Hardware, User's Manual and so on. 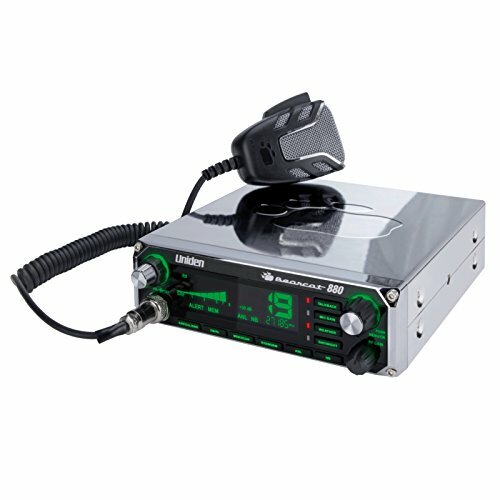 When it comes to choosing a CB radio for users who constantly works or visits dusty and destructive environment like construction sites or mining field, we recommend least pricey and most durable ones; like this model from Uniden. It costs almost one third than that of the Midland one, we have reviewed earlier but can withstand years of abuse. Mostly the duty environments are the noisy too. Keeping that in mind, there are multiple settings incorporated in this radio to limit the noise level to a greater extent. With its squelch control, you can control the identification of noise and with the ANL, you can anytime flip the noise limiter on to erase any unwanted interruption while talking on the mouthpiece. I have seen people use this radio in their jeep for several years without a hitch. If durability is what you want in your CB radio, then Uniden is the perfect match for you. Not convenient for frequent moving. CB Radio, Microphone, Mounting Hardware, User's Manual and so on. Among the radios we have reviewed so far, It's the most flashy one. There are uncountable modern features incorporated into this radio. But you will only be enjoying all these high tech advantages if you are using this in North America. As a radio, it is an impressive one. Whilst other radios cover up to 4 to 5 miles, this one is able to cover up to 20 miles!! It comes with rewind feature which always records last 10 minutes call and is able to rewind whenever necessary. You can have an uninterrupted concentration on your road once you sync it with your smartphone. Audible caller id lets you know who is calling without peeking on the screen and needless to say, you can receive any calls with this radio. Its IRadar app automatically connects to other radars of North America and warn and notify you about almost anything it picks from speed trap to red light at the intersections. I don’t recommend using an overpriced radio for using on daily basis in a rough environment; this one is more suitable for hobbyist or gadget junky to tame their obsession over high-tech machines. The only and most alarming negative about this radio is, it comes with faulty VR6 that may cause internal damage of this radio. You can solve this by turning off both VR6 and ANT or take it to a professional. However, buyers who never faced such problem are fully satisfied with this radio. Can be sync to smartphones. Cobra is the most popular brand for their excellent performing CB radios. This model from cobra is a shiny, sleek, compact and space saving. It is so small that you can place it in the glove compartment or under the dashboard. The features seemed more useful compared to other basic type radios of the similar price range. You can tune two channels at a time for staying up to date. Moreover, it instantly connects to emergency and weather channels so that you have easy access in times of need. The speaker attached to it is a front-firing type. That makes this device more suitable for vehicles that are used in recreational purposes like food van or ice cream truck and many more. Most of the radios available in market promised about eliminating noise in the microphone but this radio from Cobra comes with the soundtracking system to enjoy crystal clear sound coming from the speakers. There is basically no cons for this radio. As it is a small device, the controls are smaller too. It might be a bit uncomfortable for people with big fingers, but if you are paying especially for a space-saving radio, you must have to deal with the tiny buttons as well. Includes Extra Long Mic Cord, 6 Pin to 4 Pin Adapter, Laser Etched Keys, Dimmer Switch Day/Night, mounting bracket and so on. Uniden is one of those manufacturers who provide quality products within an affordable price range. This radio is no different, it is convenient to use, performs impressively and available at a reasonable price. If you are used to with long-distance driving, you may face difficulty with reading the display of your current or former radio display. The display of this model from Uniden comes with seven colors including dimmer switch facility so that you can not only choose the color of the display but the intensity of light as well. Now operating the radio will be much easier no matter it is dark or dawn. The range is also longer than most of the affordable brands. Users claim to receive frequencies even 10 miles apart! The transmission and reception both are noise-free. There are multiple settings to control the noise elimination in this device. I didn’t practically found any cons for this radio. You just need to purchase an adapter to connect this to your cig lighter, if you want to save on Li-ion batteries. Otherwise, for a problem-free radio with multiple feature and functionality, this one will be a wise choice. This one is another addition of Bearcat series from Uniden. The Bearcat series comes with the identical feature of a seven-color display with backlight dimmer for easier viewing in different lights throughout the day. Apart from this, the 980SS model is even more advanced compared to the 880SS from Uniden Bearcat series. The advanced features include auto-tuning, noise blanker, memory scan, clarifier, squelch control and the list is almost endless. But I suggest you do manually set everything at first before going to the automated tuning feature. 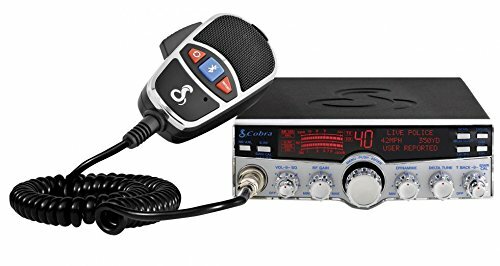 The price is affordable for a CB radio with amazing performance and fancy features. However, for the full functioning of this radio in your ride, you need to have Cigarette lighter to wire power cord and a magnet mount antenna. I would suggest you order these with the CB radio altogether if you don’t own the accessories at the first place. This way, you will be able to use the radio right after unboxing it. The backlight may not be satisfactory as advertised. Includes Handheld Microphone, Power Cord, Radio Mounting Bracket, and Microphone Mounting Hardware, Owner's Manual and so on. I recommend this tradition for people who love convenient operating and hates shuffling through multiple menu buttons and options. The first look of this CB radio from Galaxy may not impress you due to its multiple knobs and buttons, but these are set like this so that the control can be done even when you are focusing on the roads ahead. Fine tuning the frequency and setting the intensity of the display can be done without taking your eyes off the trail. It has all the basic features of a classic CB radio with more controlling functionality. Don’t feel intimidated due to the multiple features, because it is quite easy to get used to if you are new in this case. This model is successfully ruling the market for more than 15 years. So, for a reliable set of CB radio, this model can be trusted with eyes closed. Nowadays most people invest in CB radios just to follow traditions of for weather and emergency updates. 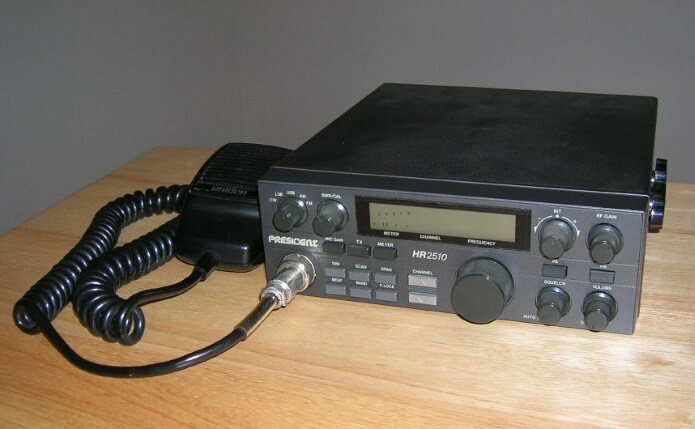 There are very few people who are actually obsessed with their CB radio and invest a fortune in it. If that’s not the case for you, then this tiny radio from Midland is just the right pick for your jeep or any other vehicle. Its tiny size is what makes it identical and important. For use in tight space, there is no alternative to use a small radio to fit in so that you can get all the necessary updates without sacrificing any major space or paying more than enough money. Even after having a tiny body, this radio tunes all the 40 channels but people mostly invest in it just for weather reports. This radio is super cheap, but the construction is quite sturdy. You only need to purchase an antenna for it, and that’s it. Without paying much money and attention, you will get a useful radio for your car with this model from Midland. 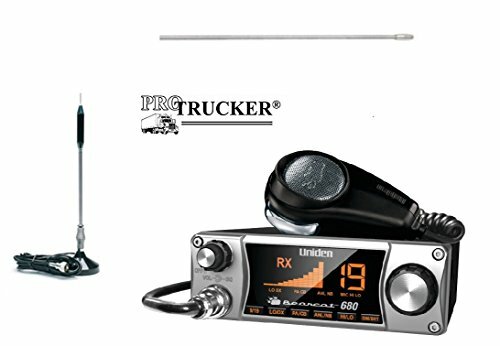 Includes: Bearcat 680 radio, 24" Copper Coil, Stainless Steel CB Antenna & Pre-wired Magnetic Base. This radio comes as the packaging of ‘kit’, so that, you don’t have to face any hassle further to find necessary antenna or adapter to run the radio in your vehicle. All the accessories are incorporated in this packaging and this package is also available at an affordable price. The packaging involves a Uniden Bearcat radio of 680 model. 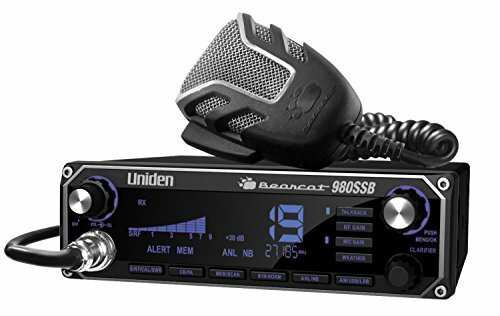 We have reviewed two Uniden Bearcat radios of different models, but based on the popularity, this radio will never disappoint you from any perspective. The included mic is meant to eliminate noise even when you are driving with full speed in the highway. This unit is sleek and durable. I recommend purchasing this at your own risk because this unit is not widely used like other brands we have reviewed in our list. There is a possibility that it may impress you or disappoint you with faulty accessories; the choice and decision is yours!. Compatible to a wireless mic. Includes: CMX560 radio, coaxial cable, SWR meter, 4' antenna, antenna mount and jumper coaxial cable. This is another self-sufficient CB radio kit which is made in cooperation with Uniden. This one is high end, comes with more accessories, hence, more pricey than the previous one. This kit is completed with high- performance radio which is made of fiberglass. 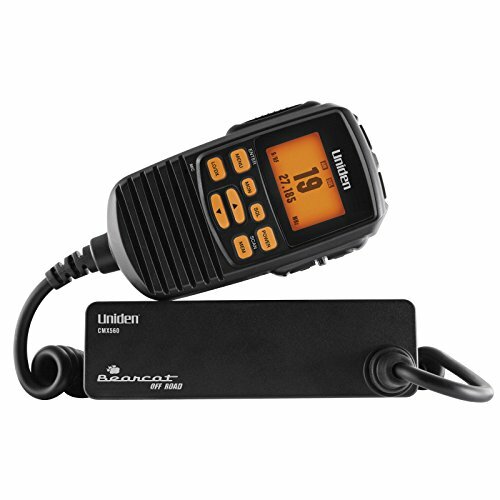 The range of this radio is longer than conventional radios and the performance is more satisfactory. This is a compact unit, so, the radio does not display too much data, only sticks to the basic ones. The included antenna and antenna mounts are of excellent quality so that you can always stay with touch to the mainland while driving off the city. The installation and usage are extremely easy with this unit. It is made for RV and similar highway vehicles, but for its tiny body, it can be placed in any vehicle without any problem. If you are looking for fancy radio, then this one is not your cup of tea. The price of this unit includes costs of all the accessories, so, it may seem a bit higher; but it's actually reasonable. To save you from mixing and matching different accessories to install your own CB in your ride, this unit is a life saver. CB radio or Citizen Band radio is the system of short distance radio communication between individuals. Citizen band is different from other personal radio service allocations. In many countries, you don’t need a license to operate CB radio for personal or business purpose. CB radio was created by FCC (Federal Communications Commission) in 1945. The purpose was to make easy the learning process of communication between individuals and business entity. CB radios are powerful, reliable and cost- effective. You can use 40 authorized channels in between 26.965 MHz- 27.405 MHz. they can be caught in AM or single sideband (SSB) mode. All basic units have AM mode but you’ll found SSB feature only on the top end devices. You’ll find four types of CB radios available on the market. It would be better if you have a clear idea about them before buying one for you. Mobile CB radios are the most common type of Citizen Band Radios. Basically, it is a small box with a group of dials and mic which is attached to the front. You’ll find them in different sizes and with different features depending on brands. You need to choose one that can fulfill your requirements. All in handset radios have built-in controls into the handset. It allows the user to control the device by one hand. This can be a great choice for small vehicles. Because this type of radio has a small connector box that can be easily installed through or under the dash. Handheld radios are battery operated walkie- talkie style radio. Some of this radio comes with rechargeable battery. You can easily use them in your vehicles by connecting with a magnet. But you need to remember that, when you’re using a handheld CB radio in your vehicle you must have an antenna cable attached at the top of the unit. Base station radios are the CB radios that have built-in power supply. You can use them as a home unit. The benefit of base station CB radio is the power supply of it is incorporated in the cabinet so that it can create a clear footprint. 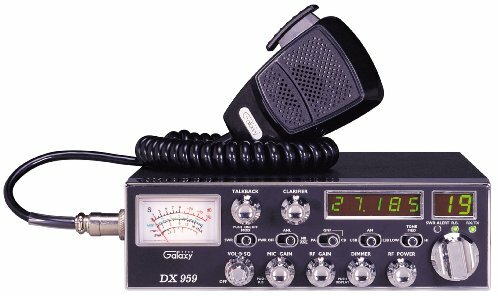 Like VHF radios, television, FM/AM radios, and cell phones, CB radio also operate using radio waves. Every CB radio has a long antenna, it captures the signal and transforms the signal into audio that you hear through your speakers. 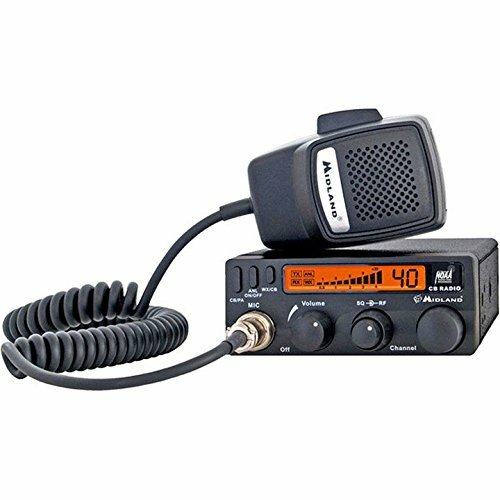 A CB radio is also a transceiver as it can transmit and receive signals. If you want to communicate with a receiver, simply talk into the microphone. Your words will convert into an electric signal and the antenna will transmit the signal. This signal will travel through the radio waves which will be picked up by other CB radio. If you’re going to buy a CB radio for the first time you may get confused choosing the right one with best features. In this buying guide I’ll explain all the terms and features you need to know before buying a CB radio for your vehicle. Squelch control is the feature which helps to reduce the static on incoming transmission. It sets a breakpoint o which CB radios output a signal. This feature is included in every CB radio on the market. This feature allows the user to filter and block the type of transmission that a CB radio receives depending on the strength of the signal. PA capability allows you to use your CB Radio and mic as a public address system. For this, you need a PA horn which you should mount under the hood or on the top of your vehicle. This feature also helps to filter out static, engine noise or any other interference from the reception signal and improve the received sound quality. This feature helps the radio to access local NOAA station for real-time weather report and updates. This helps you to jump directly to the popular channel like Channel 19 for trucker and Channel 9 for an emergency. This feature helps you to scan and set up your radio on loop. That means your radio will scan all the available channels and after finding an active channel, it’ll let you listen. It makes easier to find and tune into discussion without manual involvement. Look for the backlit display for nighttime use. May a radio with this feature cost little bit extra but its really helpful for the user who needs to drive at night. SSB radios allows you to transmit at 12 watts instead of 4 watts. That means it gives you 3 times transmission range. But it only works if the receiver also use same type of device. If your radio has built-in Standing Wave Ratio or SWR, you’ll be able to measure how effectively the power signal is emanating through the antenna of your device. Delta tune knob of your CB radio also helps it to reduce static. While adjusting it, you’ll find that the pitch of the other person’s voice changes so you can hear them more clearly. So these are the necessary information you need to know about buying a CB radio for your vehicle. Hope this will help you to pick the one for you. You can also check the list I’ve provided. You’ll find the radio for almost all type of vehicle in the list. Just compare them to your requirement and get that. All of them are high-end radios and can give you a great experience of using with their advanced features.